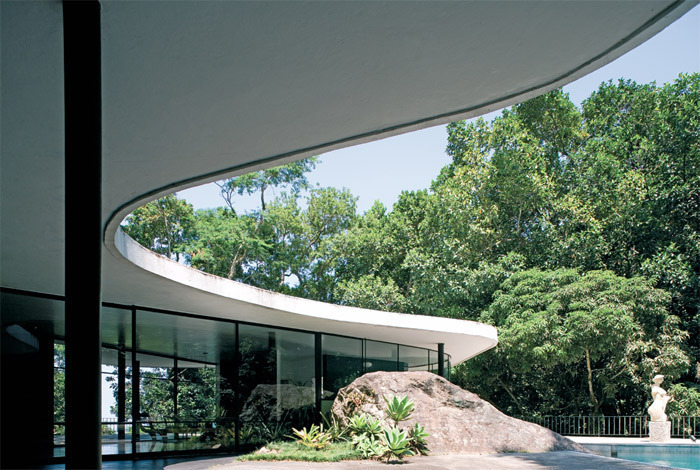 Oscar Niemeyer, Canoas House, 1952, Rio de Janeiro. Photo: Leonardo Finotti. There is no form without politics, just as there is no form without context; one finds the politics in the way form is embedded in its context. SINCE THE END OF THE GERMAN REVOLUTION IN 1923the failure of which led Walter Gropius and many of the artists and architects of the former Berlin “Art Soviet” to renounce their dreams of an activist leftist aestheticit has been commonplace for modernist architects to carefully distance themselves from political identification. Perhaps this deliberate severing of modern architecture from its origins as a visionary imagining of an antiauthoritarian state is what facilitated its subsequent triumph as the international language of corporate and institutional power.